Congrats on finally getting them to turn out the way you wanted them to! They look really good. The almond fudge looks really tasty! Thanks for adding the link to YouTube. I also find it helpful to SEE how things are made. 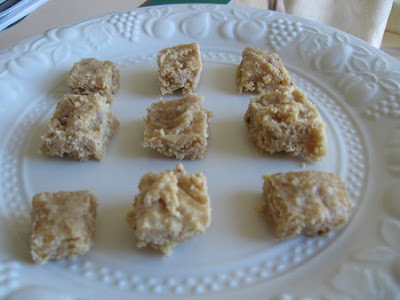 Almond fudge sounds so decedent and rich! And they look great, congrats on perfecting them! Badam and sugar. Such a heavenly combination. Just visited the link too. Thanks for sharing it.You fudge looks tasty. Glad you made it. Thank you thank you thank you! I have been looking for vegan barfi. Can't wait to make this. I am forever in your debt. Thanks for the amazing recipe. I ain't into sweets but I think that it is good to have other alternaties. Specially when you have guest. This is great because I like tasting recipes from different countries and I figure out this is delicious, actually I'm gonna tell to my mother she preparing me it in my birthday.